The General Post Office (GPO) has become an icon of the Irish state since its central role in the Easter Rising. Two different aspects of this icon are emphasised on the above covers and, although both really appeal to me aesthetically, neither cover is a good representation of the books’ contents. In the first, Before the Dawn, the burning GPO is an heroic national symbol. 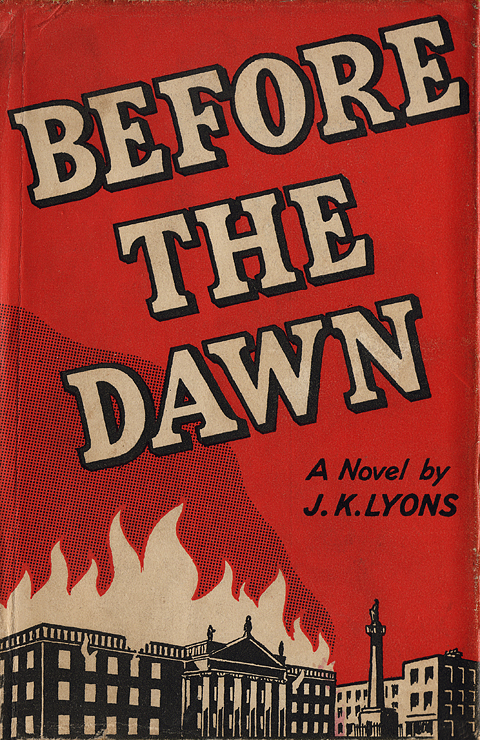 According to the blurb, the story is ‘an Irish love romance’ set during the build-up to the Easter Rising of 1916. The central character is won over ‘from indifference to enthusiasm for the cause of Irish Freedom’. Despite the dynamic cover the novel is a lightweight affair. 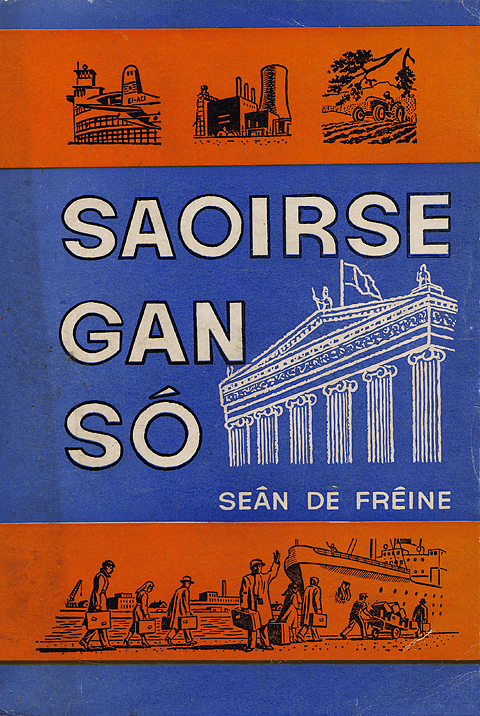 Gone is any heroicism from the symbol of the GPO on the front of Saoirse Gan Só. Here the building, now topped with the Tricolour, represents the authority of the State. 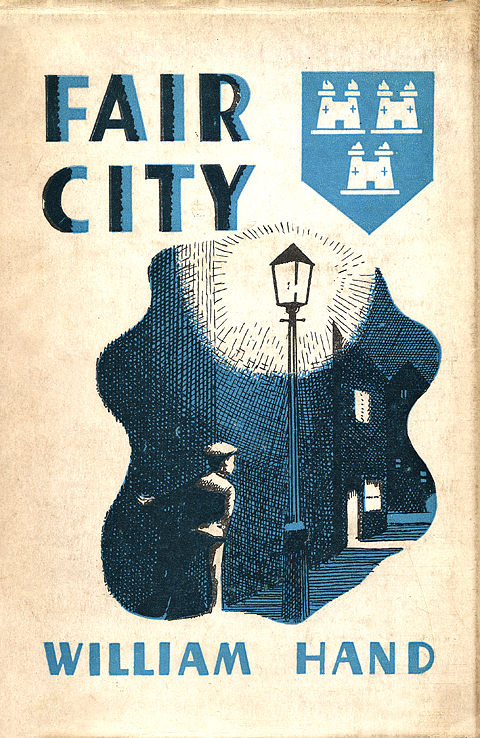 Unfortunately, the overall feel of the cover is quite upbeat in both colour and illustration style. You may be at a loss as to the content of the book if you don’t understand the title (No Respite) or miss the downcast heads of the departing emigrants in the bottom panel. I love the top left vignette of Desmond Fitzgerald’s Dublin Airport – in just a few lines the character of the building is captured along with the tail of an Aer Lingus Douglas DC-3 plane.